The Border landscapes are emotionally charged landscapes, especially those that were part of the former Iron Curtain. In 2004 Vesselina Nikolaeva was granted permission to photograph the Bulgarian-Turkish border, the first photographer to be allowed to do this since the Communist regime had seized control in Bulgaria. Until 1989 this was the southeastern frontier of the Soviet bloc and it used to be heavily guarded. 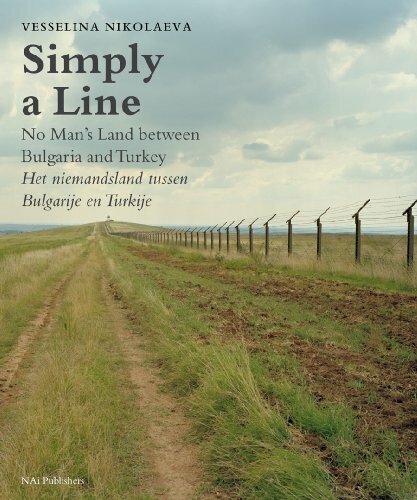 This volume presents the striking photos taken by this young Bulgarian/Dutch photographer over a three-year period as well as previously unpublished photos of border guards from the national archives. Famed Bulgarian author Georgi Gospodinov, himself a former border guard, writes about his experiences on and along the frontier. Frits Gierstberg, head of exhibitions at the Nederlands Fotomuseum, has written an essay about Nikolaeva’s work in relation to the political landscape, while photo historian Rik Suermondt examines Nikolaeva’s earlier work and the effect of her dual nationality on her work.